# 52. 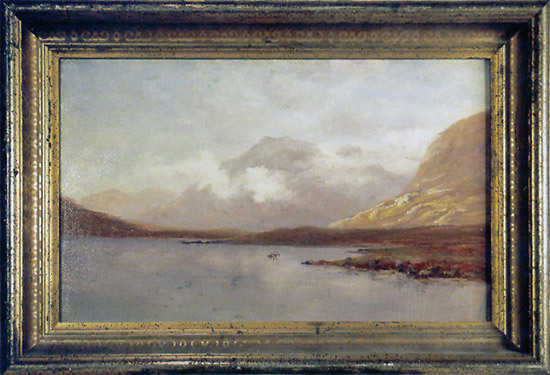 Oil on canvas, boaters on a loch, Scottish. Circa 1900. Unsigned. Size including frame: 13 x 18, unframed size: 10 x 15 inches.